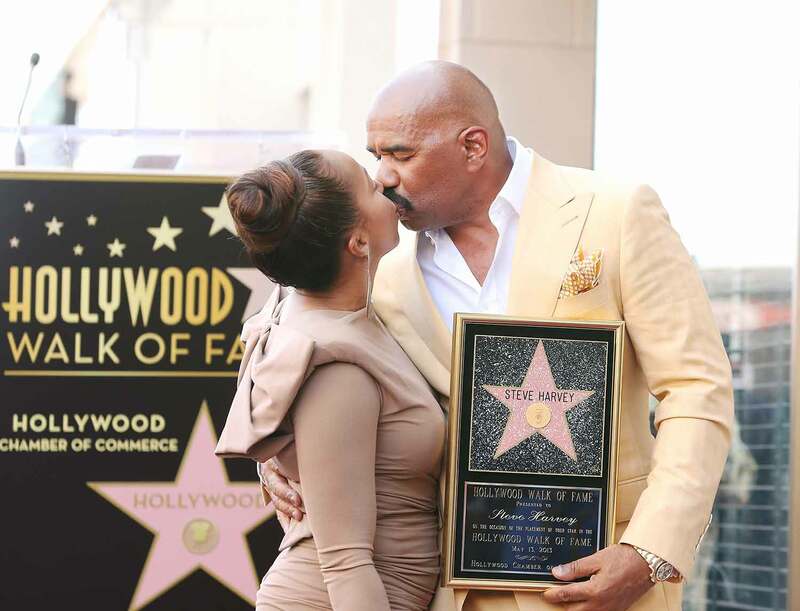 Seven years strong, the bond between comedian-turned-TV host Steve Harvey and his wife Marjorie is stronger than ever before. 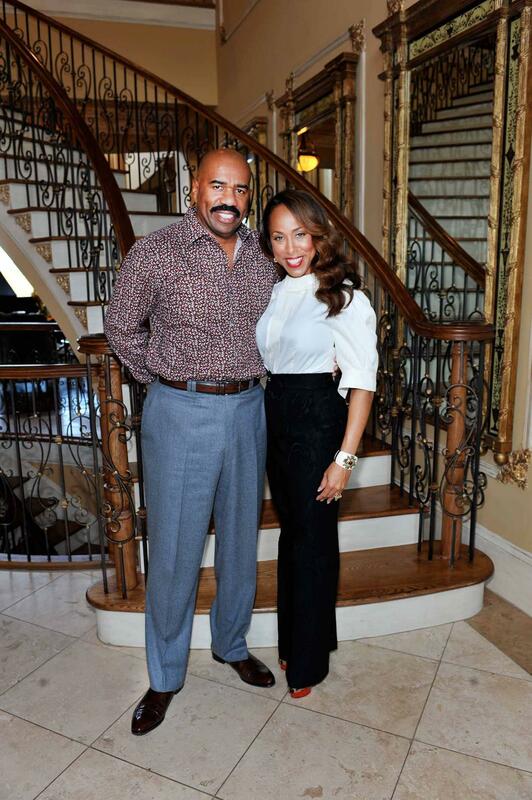 The dynamic duo grace the cover of our February issue and we're celebrating their love. 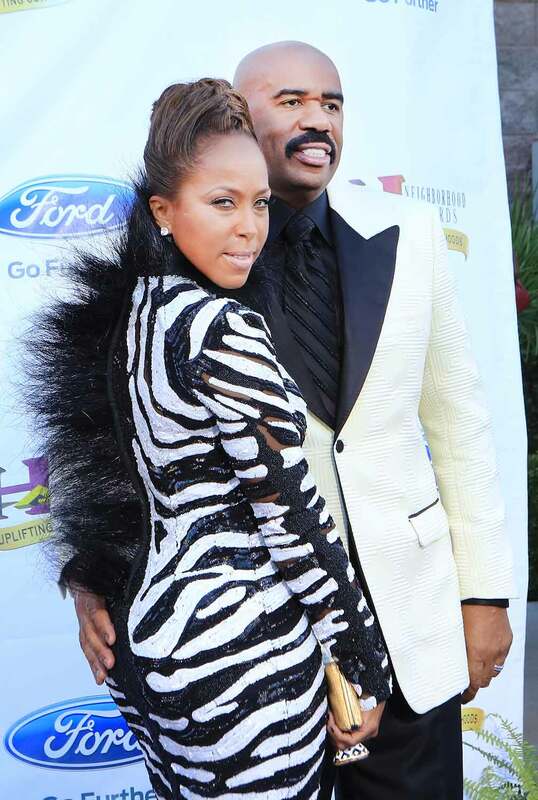 The Harveys tied the knot officially in 2007 although they met for the first time at a nightclub in Memphis 15 years before they actually became a couple. It’s the third marriage for each of them and they’ve always been vocal about their commitment to make this one go the distance. "The thing I've learned in all of this is that you can make a lot of mistakes, and you can mess up real bad and God can fix you up anyway," Harvey said in a 2009 interview. "That's the cold moral of this whole story. You're looking at two people who were messing up for real and making bad decisions without conferring with God. But the fact that you can mess up that many times and still come out okay is a testament to just the grace and mercy of God, man. He took us all the way around the block, halfway around the world, and we got back to each other. 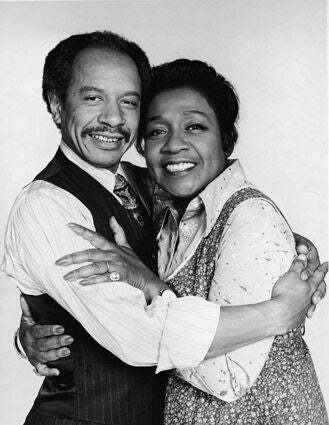 I mean, there's not two days that go by when one of us doesn't look at the other and say, 'Man, you're the best thing that ever happened to me in my entire life.'" 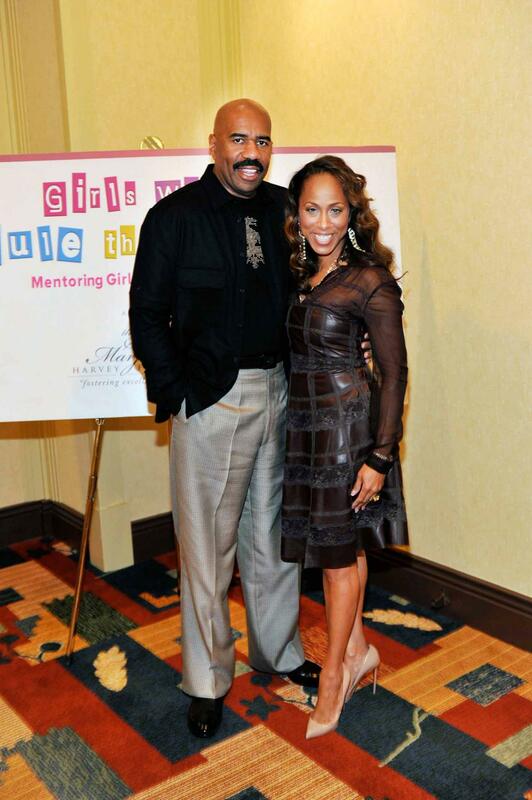 "It's a blessing when your new spouse is accepting of your children," Steve says. "Do you know the pressure that takes off? At the end of the day, the kids didn't ask for any of this. The kids didn't know you were going to break up with their mama, their daddy. They didn't know you were going to try to find happiness elsewhere." 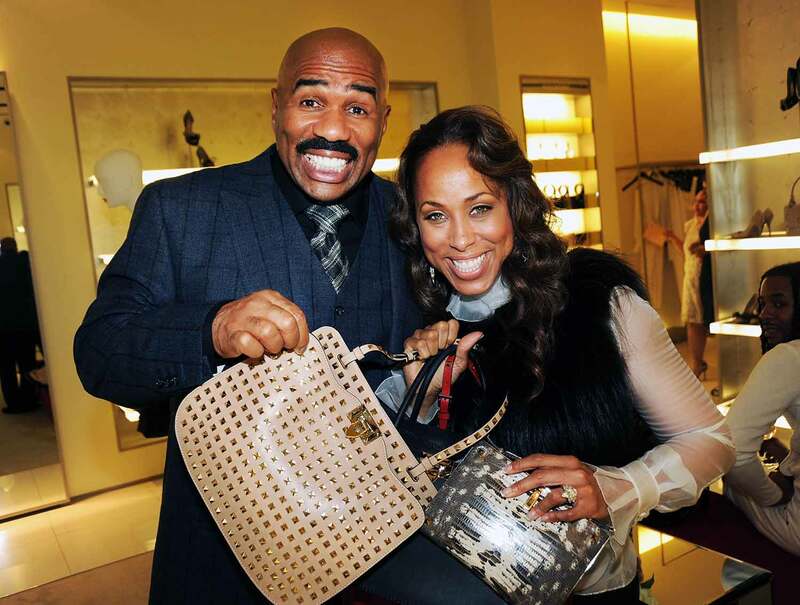 "We have to honor our women," Harvey has insisted in past interviews. And, we can see that's one of the qualities his wife adores most about him. 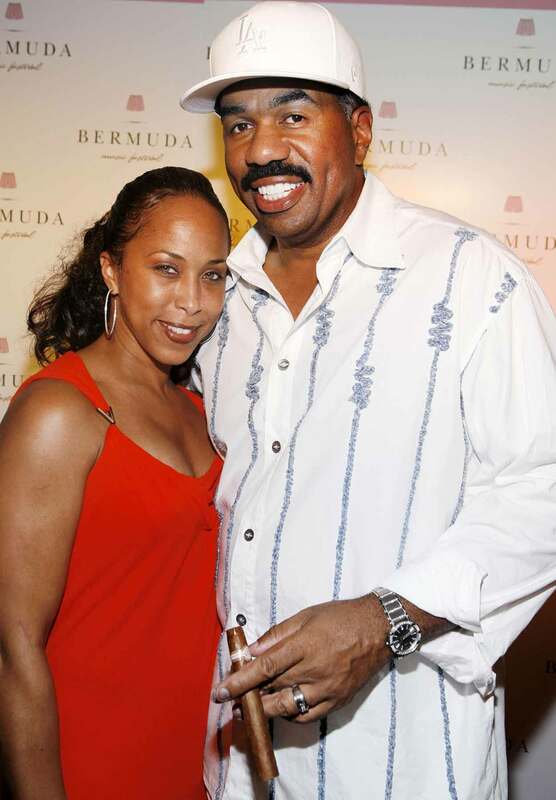 "We have to adore our women and put them on a pedestal like no one else," said Harvey in a 2009 opinion piece for ESSENCE. "We've got to raise it up like how Barack Obama has raised it up." "Every day President Obama sends a beautiful message about how we should treat our women based on how he treats his wife," Harvey once told us. 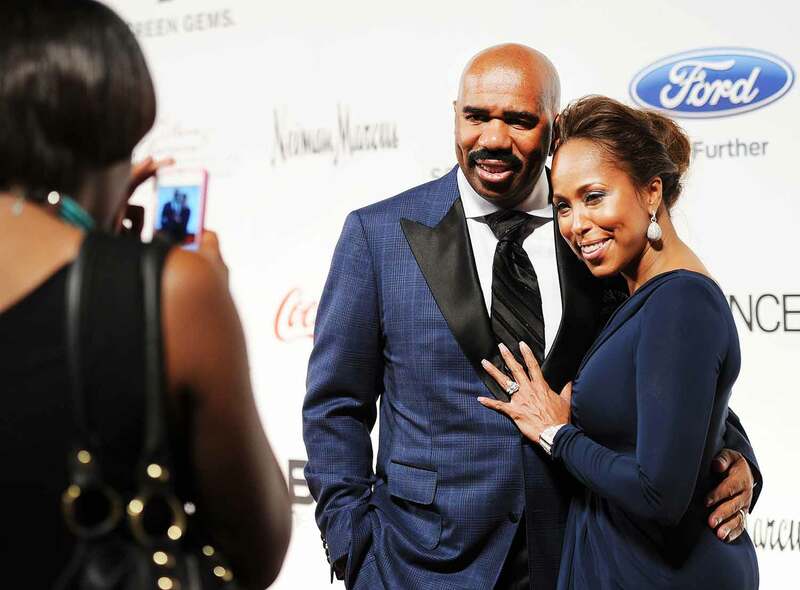 "A guy who really wants to be with you cares about your happiness," said Harvey in a 2010 interview with ESSENCE. "If he lets you stomp around the house angry and he doesn't offer to do what it takes to get right with you, it's a wrap. There's no coming back from this." 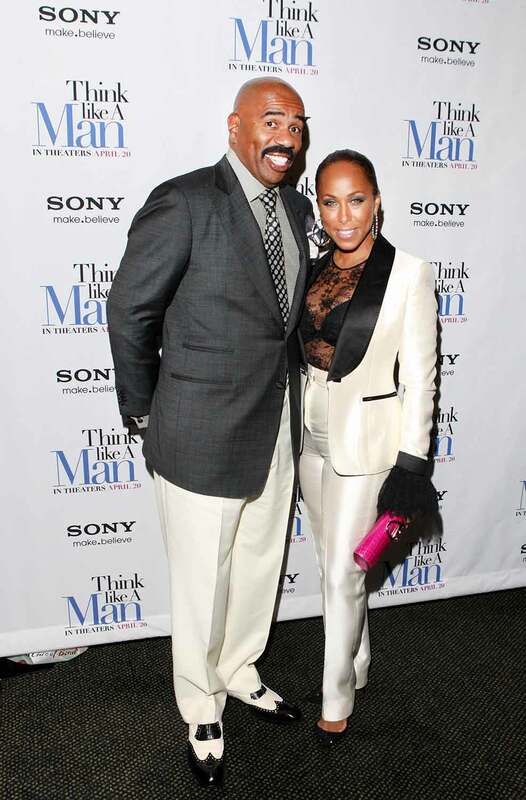 "No matter how much a man hates the idea of airing the dirty laundry to a psychologist, the pastor or your mother, if he loves you, he'll do it," Harvey advised readers in 2010. But if he refuses to talk it out or to get help, it means he's not interested in trying - for the sake of the relationship or you." 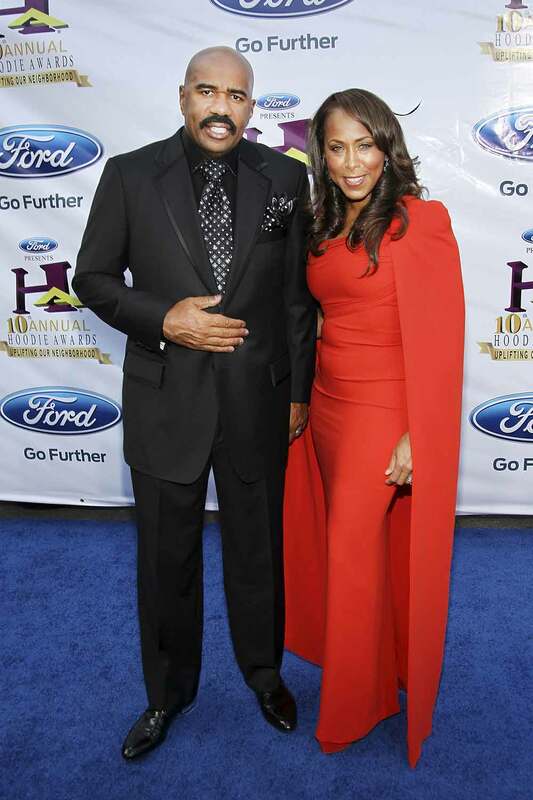 "You will bring out the best in a man when you require that he be a man," Harvey told former ESSENCE editor Demetria Lucas in 2009. 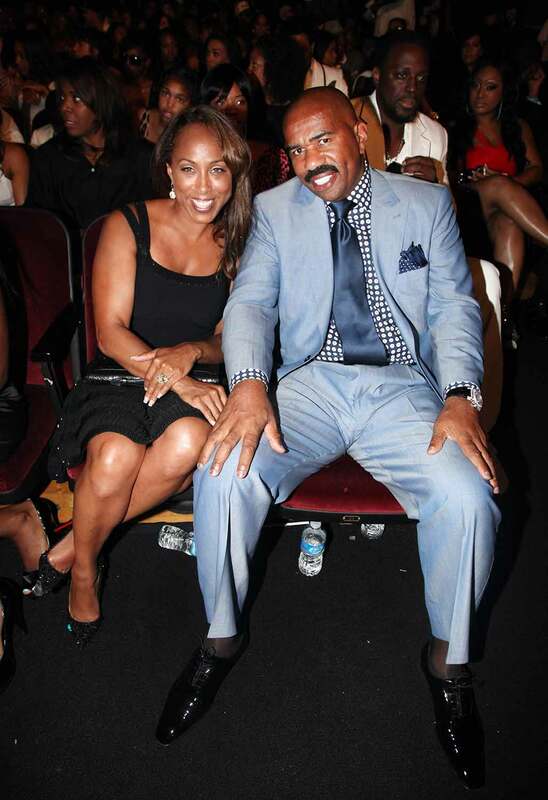 "You actually attract good men and you bring out their best qualities when you raise the bar," Harvey continued. "And no matter how high your bar, when a man wants you, you can't get rid of him." 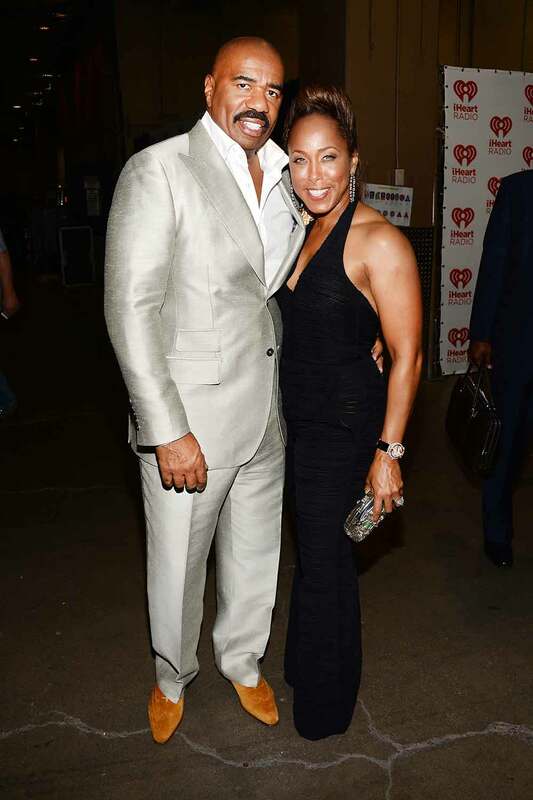 Steve Harvey and Marjorie Harvey, shown her attending the iHeartRadio Music Festival at the MGM Grand Garden Arena in Las Vegas, know how to take time off and just enjoy each other. 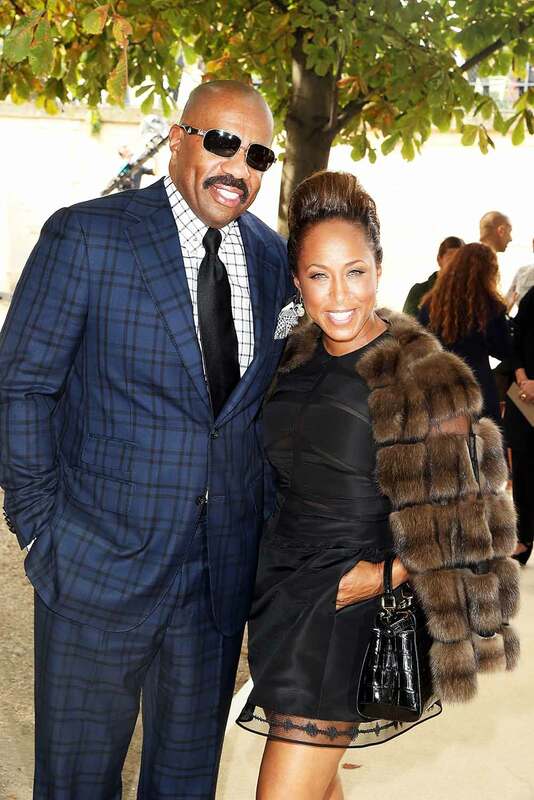 Harvey with his then-girlfriend Marjorie shown here walking hand in hand along Madison Avenue in New York City, back in June 2007. 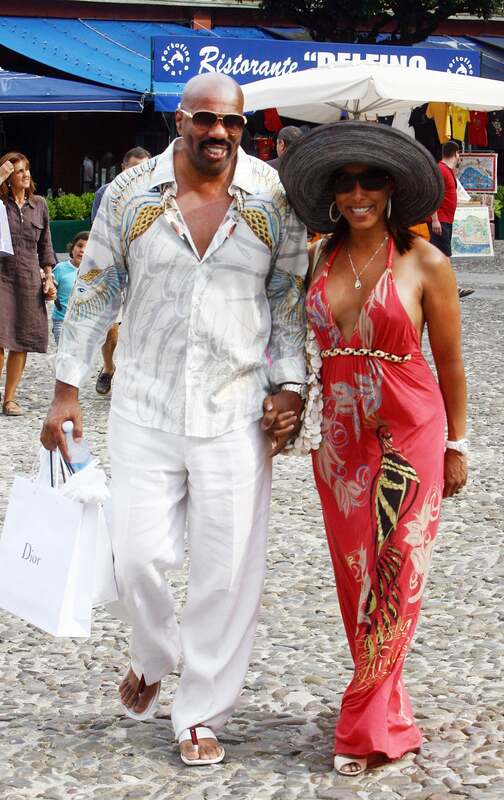 The Harveys on holiday in Portofino, Italy. These two have mastered work-life balance.